Originating in the Normandy region of France in 1751, Camembert cheeses were named by Napoleon after the specific town where this cheese was created. 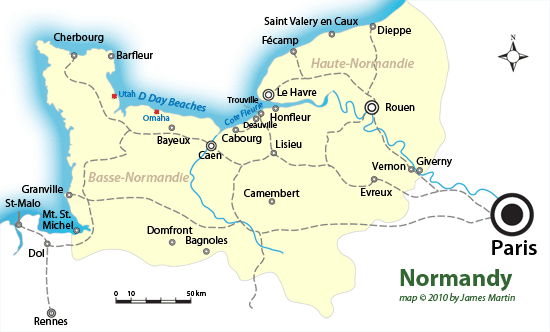 That town is Camembert, Normandy, home of the creator Marie Harel. 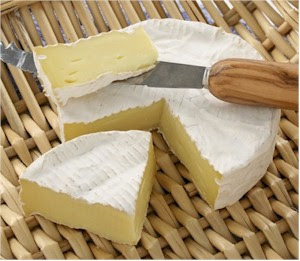 Camembert cheese is made using 100% cow milk. This contributes to both the tough, aged rind and the moist, creamy middle. After the three weeks of necessary aging, if the Camembert's maturing process is continued, the cheese becomes creamier and mushier. Even though the texture may change completely, the only true change of flavor is in the richness of the cheese. The flavor that seems to standout to the majority is a ripe but salty taste in each of the Camembert cheeses. With that being said, this cheese is eaten with a variety of things in a variety of ways. Some of these include being spread on baguettes, with a garlic spread and crackers, or with a glass of almost any red wine. 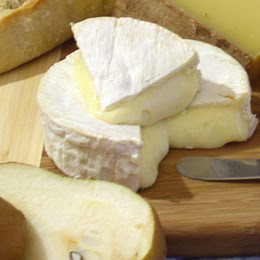 Camembert is a fairly neutral cheese that compliments a wide array of foods and beverages. The taste reaction is one of succulent delight, causing the diner to want more. Its flavor is salty with a sweet flair. No matter what this cheese accommodates, the taste is always enhanced. One can never underestimate the addition of Camembert cheese to a snack or meal. Each texture brings a slightly different flavor to the table.